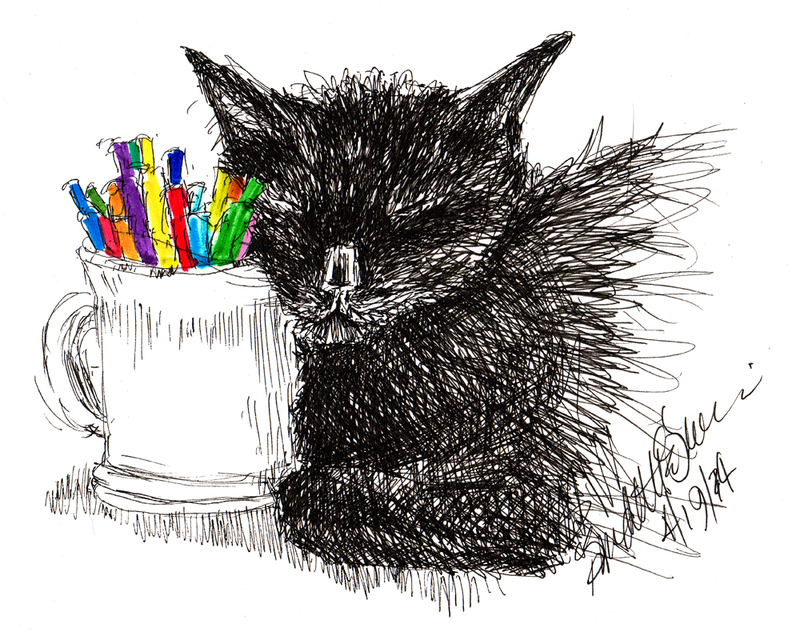 This little sketch of Giuseppe sleeping with his head against my mug of colored pens brings together my desk, drafting table, and the back to school theme for September. If you like this art too, you can get a free print of it by registering for an account on Portraits of Animals before the end of September. The featured artwork for each monthly calendar also becomes one of the New Member Gifts for the month it’s featured. When you register for an account I’ll send you a welcome email with a code and instructions to choose your free new member gift from a variety of matted prints, including the month’s featured artwork. Registration is free, and you can simply order your free print and nothing else if you want. Your Napping With Colors in Mind, New Member Gift print is 5″ x 7″ and double-matted to fit an 8″ x 10″ frame with white and red black core mats..
Read about the September desktop calendar here. 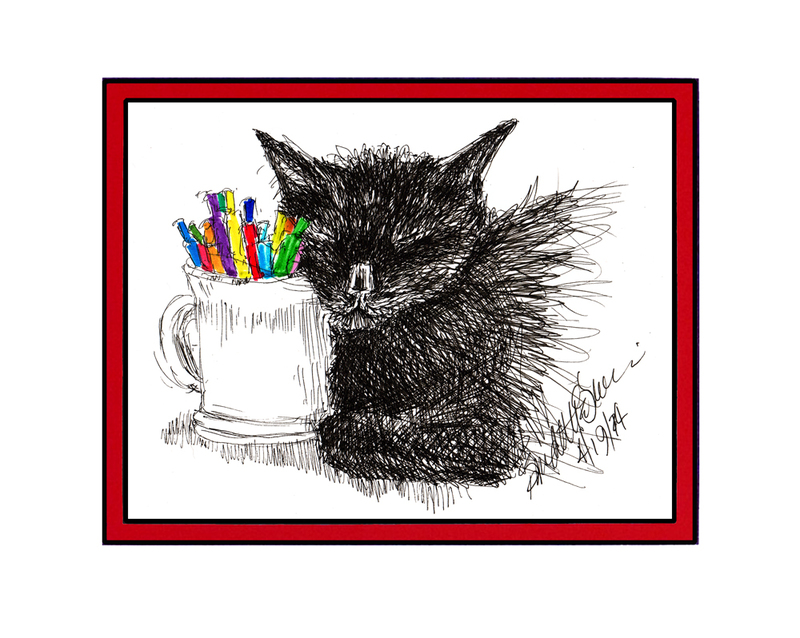 This entry was posted in black cats, cat artwork, Desktop Wallpaper Calendar, ink, marker and tagged black cat, cat artwork, cats, free print, free registration on September 27, 2016 by Bernadette.